Rex L. Hogue is an Attorney and Partner with the firm Haiman Hogue, PLLC, in Frisco Texas. Mr. Hogue limits his practice to estate planning, including estate and gift tax planning, tax planning, business planning, asset protection planning, charitable planning, probate, trust, and estate administration matters. He has a statewide law practice, planning for estates ranging in size from very small to about $300 million. He frequently works with other attorneys on complex estate planning cases. Limited partnerships expertly prepared by him have received valuation adjustments ranging from 40-60% from IRS appraisers. Mr. Hogue started his legal career practicing estate planning with the law office of Barnhouse & Associates, in Richardson, Texas, in 1992, eventually becoming a name partner in the firm. In 1994, he accepted a position at Warner E. Stone & Associates, in Dallas, Texas, as the head of the estate-planning department. In November 1996, he joined Matt Fry to form the law firm of Fry & Hogue. After being a solo practitioner, Rex L. Hogue, PC, for several years, Mr. Hogue partnered with Bradley L. Bolinger to form the firm of Bolinger & Hogue, LLP, from 2006-2013. On June 1, 2016, he merged with another law firm, forming Haiman Hogue, PLLC. Mr. Hogue is a published author and is one of seven co-authors of the Family Limited Partnership Practice System, published by WealthCounsel, LLC. It is a six-volume set designed for estate planning attorneys, published in 2000 and is available for sale to attorneys. He is also a contributing author to WealthDocs, the WealthCounsel Document Assembly System. He was a contributor to a two-day course for attorneys on Family Limited Partnerships and the presentations in the Family Limited Partnership Practice System practice development modules, and formerly published two ezines, Today in History and Wealth Creation and Preservation. 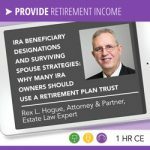 Is Your IRA an IOU, to the IRS? Mr. Hogue teaches Continuing Education courses for life insurance agents and financial planners in a variety of estate-planning subjects. He has trained life insurance agents for the National Association of Insurance and Financial Advisors, and companies such as All State, Ameriprise Financial Advisors (including speaking at the American Express Education Day), American General Life Insurance, Farmers Insurance Group, Dean Witter, Metropolitan Life (including speaking at the MetLife Tax Institute), New York Life, Northwestern Mutual, Prudential, Southwest Securities, and other companies. Insurance companies frequently have him speak to their agents in the state of Texas. He also trains the appraisal experts at Appraisal Technologies Inc., a nationally known appraisal firm, in estate planning. Mr. Hogue has also been a guest on several radio shows regarding estate planning. He co-hosted a radio show called Tax Talk in 2010 with Jeff Pickering. Mr. Hogue graduated from Texas Tech University, located in Lubbock, Texas, receiving his B.A. in 1982. He worked as a business specialist and managed an office for Business Investment Group, specializing in the merger and acquisition of privately held companies. He later founded a financial consulting firm. Then he went to law school, receiving his Juris Doctor in 1992 from Regent University; a private Christian graduate school located in Virginia Beach, Virginia. Mr. Hogue is a member of the State Bar of Texas (and the Real Estate, Trust, and Probate Section), is a current subscriber to WealthCounsel, the Texas Forum, the Denton County Bar Association (Real Estate, Trust, and Probate Section), and the Asset Protection Council™. He served a three-year term as the president of the Texas Forum from 1995 through 1998. The Texas Forum serves more than forty estate planning attorneys across Texas, providing at least one “Education Day” per year for attorneys to provide training in up-to-date estate planning techniques, and providing a support network to assist attorneys in a variety of ways in their practices. He is a former member of the National Network of Estate Planning Attorneys from 1993 to 2001, and formerly a member of the Irving Bar Association and the Frisco Bar Association. How can you schedule Rex Hogue to speak at your event? Rex Hogue is an experienced speaker and presenter with a passion for providing industry-leading information to audiences. He is available to speak at your conference or appear at one of your events. Inquire here about having Rex Hogue speak at your conference or event! 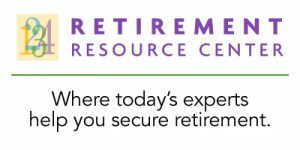 Qualified retirement plans can create numerous estate planning problems. Upon death, an IRA is subject to income tax, federal estate tax, possible state income tax, and possible state inheritance tax. A retirement plan trust can avoid tax problems while it protects beneficiaries. Let this estate law expert help you learn about how a retirement plan trust avoids problems such as a beneficiary deciding to cash out early, or a beneficiary rolling over the client’s IRA into the beneficiary’s IRA, problems with naming individuals as beneficiaries, and more.